Eli Easton is a new-to-me author, and I found the writing style to be slower paced, but it fit the theme/plot of the book. Our narrators are David, a 40-something Mennonite father of two, and Christie, a thirty-year-old party boy from NYC. Definitely a cultural and generational clash, which made for an interesting read. A near tragedy is the catalyst for Christie to change his life and move into the home his aunt left him when she passed, a home that is next door to David's farm. I won't go into the specifics, but if you're leery of an overtly religious book, no fear. Religion is only a conflict to push the plot forward, as it felt as if David was non-practicing. Opposites attract in a slow-burn romance, with an inferno of sexual chemistry, where the reader truly gets to know the characters, but at the expense of the pacing. A few times, I found my mind drifting as I was reading, but I enjoyed the characters and the story enough to continue. There was an event near the end of the book that truly didn't fit the overall 'feel' of the story, but it wasn't a major focus, so I didn't dwell on it. Recommended to fans of MM romance, particularly those who enjoy the added conflict of religion. 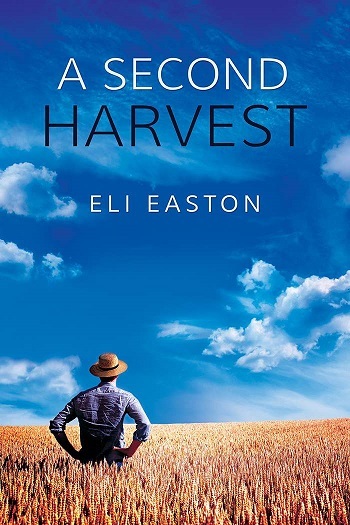 Reviewers on the Wicked Reads Review Team were provided a free copy of A Second Harvest (Men of Lancaster County #1) by Eli Easton to read and review.